The circuit requires a DC 9V - 12v feed and the position of the servo can be altered by the two screws on the baord. Once the servo positions have been set you can trigger the servos movement to the pre-set positions with a push button or toggle switch. The output to the servo is 5v DC. You can either have this as a 2 position controller or a 3 position controller. 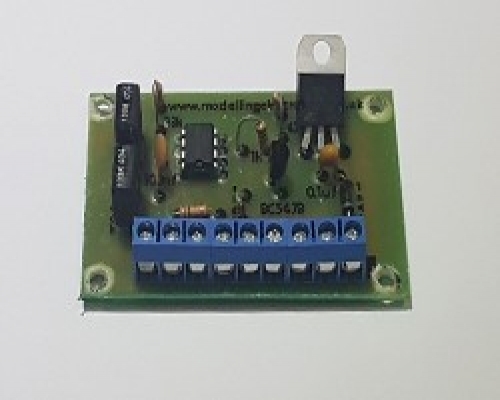 This circuit is designed for analog servos although some digital servos may work with this circuit. The circuit has a 5.6v DC 1amp output max which is enough for most micro servos. Position 1 is a fixed start position and the servo arm can move 180 degs, position 2 can be any where within this. If you require 3 positions simple set position 3 with the screw on the circuit to within the 180 degs of the servo function. The drawing above shows a very simple arrangment using the 2 or 3 Position Server Controller Module . Our servo controller requires a 9v DC supply and a servo with a voltage rating of 5v dc. The servo controller can have 2 positions or 3 positions which are controlled via 2 or 3 push button switches, or you can use a toggle switch. 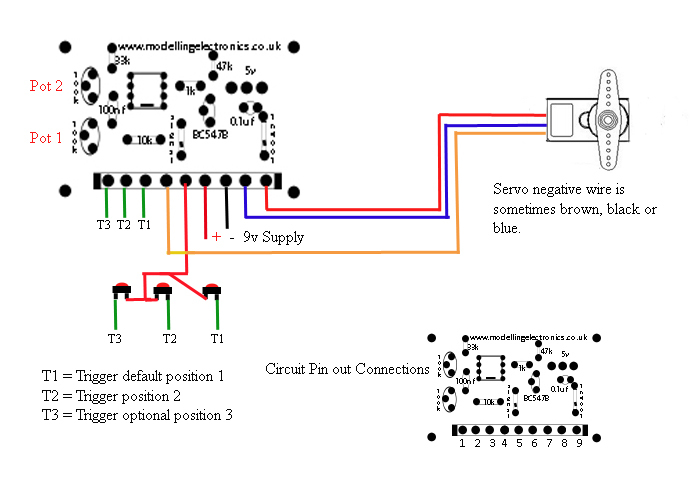 Follow the wiring diagram above to connect your servo and controller. The servo we supply has a standard 3 pin servo connector, if you are not using the servo extension cable you may cut this cable of and connect directly to the circuit board as shown. The servo has a 180 deg movement capability. Attach one of the servo arms provided to the servo. Activate trigger 1, this is the servo's default position. Set the arm by removing and attaching in the desired default position. In order to set position 2, activate trigger 2 and with a small screwdriver turn the white screw inside Pot 1 (Marked in red on the diagram) till the servo is in the desired position two. 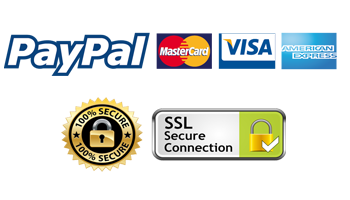 If the third position is required activate trigger 3 and again turn the white screw on Pot 2 till the servo is in the desired position three.